Wellington, FL – February 15, 2013 – Natalia Torano has just started competing over fences, but she’s already jumped her way into the hearts of judges. Six-year-old Torano earned four top five placings for Happy Endings Farm during week five of the Winter Equestrian Festival. Aboard roan pony Champlain Clementine, owned by Alexandria Johnson, Torano won the blue ribbon in Walk-Trot, placed second in both the Walk and Walk-Trot Pleasure classes and finished fifth in the Walk-Trot Jump class. Torano and Champlain Clementine have consistently been in the top ranks throughout WEF, and will continue to compete in the Walk-Trot division throughout the season with Happy Endings Farm. Rounding out a successful week in the Cross Rails division for Happy Endings Farm was Torano’s best friend and frequent riding partner Avery Kelly. Seven-year-old Kelly placed in the ribbons in each of her classes in the Cross Rails division aboard her very own and adorable Farnley Romeo. Kelly and Farnley Romeo have been strong finishers in the competitive Cross Rails division, earning the top honors in the division during week three taking the championship, and finishing with the reserve championship during week two. Although many of the kids from Happy Endings Farm were snowed in up north, the snowstorm didn’t stop 6-year-old James Leone. He returned to the ring after a six-month hiatus, showing that he was a true contender in the Walk-Trot division. Aboard Care Bear, owned by Hannah Patten, the talented James took ribbons in all classes, and will continue to show in the approaching weeks of competition. James’ brother Mark also returned to the Short Stirrup Hunter division this week, after coming off of the same six-month break. The 9-year-old rode Care Bear to ribbons, starting a collection of top awards. Meanwhile, Miss Ticket to Ride, owned by Barbara Milanese, was piloted by Parker Wright to the fourth place finish in the Younger THIS Medal. Wright also took ribbons in the Younger Children’s Hunters. Miss Ticket to Ride was bred, raised and broke at Happy Endings Farm. WEF 5 was the first time the bay German Warmblood showed with a junior rider, and Happy Endings Farm couldn’t be more pleased with her talent. 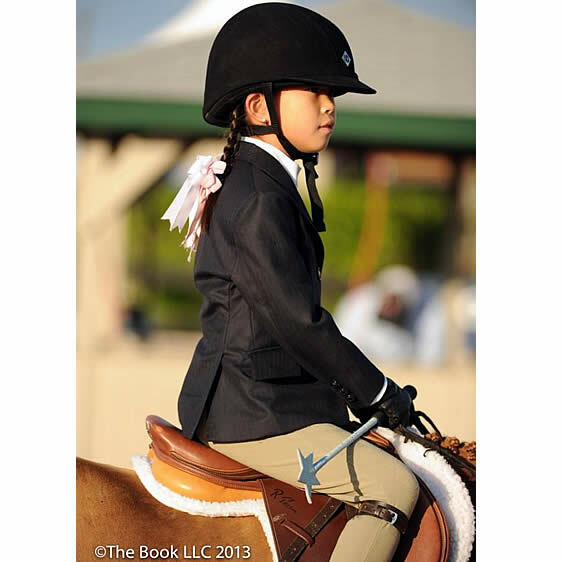 Happy Endings Farm will have a number of riders, horses and ponies competing in divisions ranging from Short Stirrup Hunters to the Adult Amateur Hunters throughout the Winter Equestrian Festival season. From there the close-knit team will travel north for summer showing. To stay up-to-date with Linda Smith-Faver and Happy Endings Farm, follow them on Facebook at http://www.facebook.com/HappyEndingsFarm?ref=ts&fref=ts. You can also visit their Web site at http://www.happyendingsfarm.com/.